Do you require a Computer Training Room to deliver training for up to 10 participants? 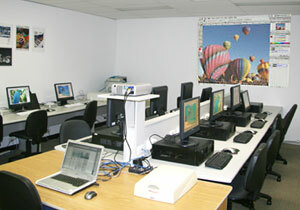 Why not hire one of our centrally located Computer Training Rooms! 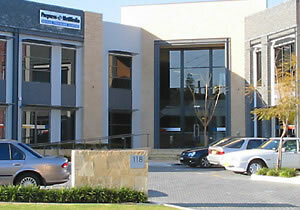 Prepress NetMedia Training Centre is centrally located in the new modern Centa 118 office complex at 118 Railway Street, West Perth - 100 metres from City West Train Station (visit our location page for map). The training centre is close to public transport via the Perth to Fremantle rail line and several bus routes along nearby Wellington Street and Loftus Street. Data projector available for PC or Mac included in cost. White board and support equipment. Rooms are available for hire between the hours of 8.00am to 5.00pm. Tea, coffee and chilled drinking water is provided free of charge. Lunchtime catering can be arranged. Other amenities include tearoom, fridge and microwave oven. Max up to 10 PC computers including all amenities. Should it be necessary to install software in the computer lab - this is the responsibility of the business/person renting the room. A deposit of 20% of total room hire fees is required before booking can be confirmed and the balance is due within 14 days after the room hire date/s. Also please note a cancellation fee of 20% applies should you cancel the room hire within 7 days of the room booking date.